Websites need visibility to become prominent in the search engines. With hundreds of websites added every day it becomes very difficult to get noticed. Organic ranking may take time but efforts to optimize websites manually are the best options to list the web pages at the top of search engines. This process of bringing a website to the top results of search engines is called search engine optimization or SEO in short. A variety of techniques and procedures are available to make websites search engine friendly. There are several steps to create a good website. The process starts from selecting a proper domain name which forms the main part of the URL. It is the identification name of the website and so should be simple and short as far as possible. The URL should specify the nature and topic of the website and preferably be a very short form of the entire topic of the website. The next step is to use keyword rich title to tell what the website is all about. The search engines display the content of the title tags in the first line of the search results. The users search for information on the internet based on certain keywords and if the page title is similar to the searched keywords, the search engines will highlight the website in their results. Creating unique content in the website is helpful for the readers and search engines. In each page the entire content should be organized around a topic without spelling and grammatical errors. The content in any website is intended to the users and not to the search engines. It should be organized and easy to navigate from one page to other. The content should invariably contain some primary and secondary keywords related to the topic of the website. The pages of the website can contain links internal to other pages within the website or external links that point to other web pages. 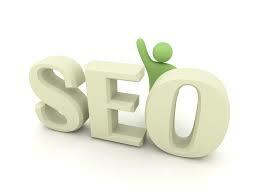 Suitable small and easy anchor texts will help the search engines to detect such links and show in the results. The anchor text should provide a basic idea about the nature of the page going to be displayed. Many websites may contain images, videos and presentations about related topics of the website. They should contain proper headings, descriptions and details so that the pages get ranked highly. A hierarchical listing of pages known as the site map helps the search engines to easily crawl the pages. It also helps the users to find pages easily within a website. Once the website is completed there are certain steps to push it further while it is running. These practices include directory submissions to top directories like Domz,Yahoo and link building through article submission, forum posting, blog commenting and link exchanges. The use social networking sites like Facebook, Twitter and social bookmarking also help websites rank better in the results.